We can design and create a beautiful cake for any occasion. Please feel free to browse our gallery or pop into our shop to see the cakes on display. You may already have something in mind for your special day and we can recreate most designs you might have seen on the internet or in a wedding magazine. 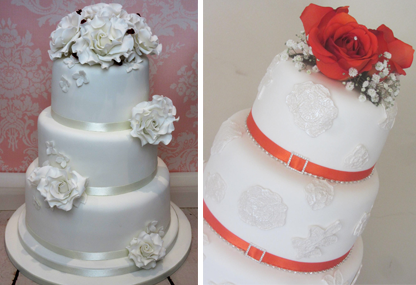 Our prices are very competitive, with the average cost of a 3 tier wedding cake around £300. Our shop is open six days a week and wedding consultations are free of charge and do not have to be booked in advance. You may however want to ring before hand to check that we are not already out delivering a beautiful cake to another customer. If you and your partner are struggling to get into the shop we are very happy to provide quotations over the phone or visit you both in your own home at a mutually convenient time. We offer a wide range of flavours and can also cater for gluten and dairy free requirements. 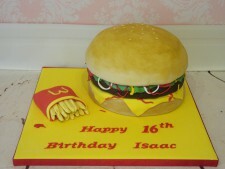 Please see our gallery for more examples of cakes we have created. Whether it's a Birthday, Christening or Baby Shower our celebration cakes will really help make your special event even more memorable. 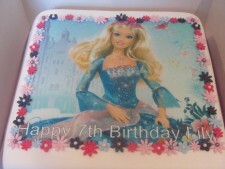 Prices start from £35.00 for an 8" photo cake and £45.00 for a bespoke design. Please browse our gallery to see some of our imaginative creations. We can choose an image for your of your favourite television character or pop star or you can email us an image of a loved one to include on the cake. The possibilities are endless. We offer a range of flavours and a variety of designs. Prices start from £1.50 per cupcake. Our cupcakes are perfect for any occasion be it a Birthday or Corporate Event.